In the spring, the American Council on Germany launched the first phase of its Sustainable Urban Development Study Tour, a pilot project convening experts in urban affairs from the United States and Germany to address challenges such as mobility, housing, water, structural change, demographic trends, and sustainability. 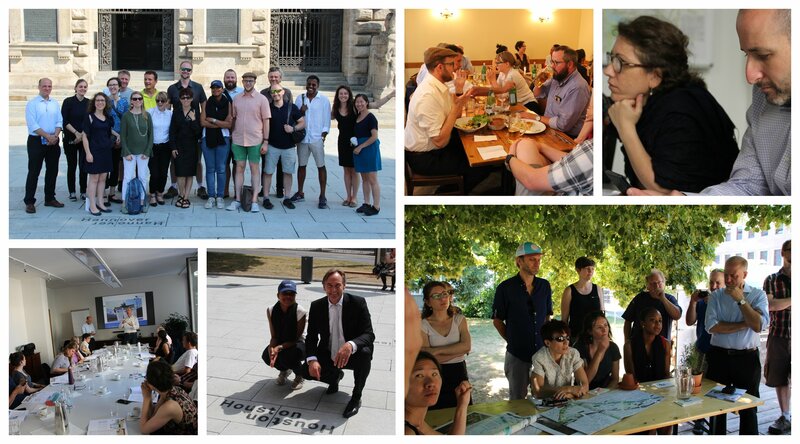 From May 27 to June 2, 17 urban affairs experts working at the state and local levels took part in an in-depth fact-finding mission to Berlin and Leipzig to discuss these issues and more with their counterparts. In the fall, the same group gathered for a second time for a week-long study tour of the United States. From October 7-13, they gathered in Pittsburgh and Denver for second round of meeting, at which they learned how American cities are addressing similar challenges.. This project was made possible through the generous support of the ERP Transatlantic Program, managed by the German Ministry for Economics and Energy, and the Robert-Bosch-Stiftung. The group gathered for the second phase of the program – in Pittsburgh and Denver – from October 7 to 13. There they met with officials and experts working to improve the lives of residents as they continued to build upon their new transatlantic network. On the evening of October 7, the group, which consists of Americans and Germans working on urban issues and sustainability, gathered around a dinner table in the South Side of Pittsburgh after nearly five months since their last meal together in Berlin. With the atmosphere of a family reunion, the group spoke about their latest projects, new developments in their cities, and the lessons they had learned during the first part of their study tour. With their bonds firmly cemented, the participants embarked on an intense week of meetings. In late May and early June, 2018, the American Council on Germany launched an exciting new pilot project to look at sustainable urban development. At a time when the transatlantic relationship is under strain, the ACG convened experts in urban affairs from the United States and Germany for a weeklong, in-depth fact-finding mission to Berlin and Leipzig. From May 27 to June 2, the Sustainable Urban Development Study Tour brought together 17 urban affairs experts working at the state and local levels to discuss mobility, housing, water, structural change, demographic trends, and sustainability.